Rhianna was an extremely happy and energetic little girl. She loved dancing, playing with friends, attending clubs, ninjutsu and had started to learn piano. But at just 8 years old she had started to suffer balance problems. She began falling over and became increasingly clumsy. A CT scan discovered an inoperable brain tumour based within the brain stem. On the 1st of April 2015 Rhianna was diagnosed with a Diffuse Intrinsic Pontine glioma. A devastating diagnosis which would change life forever. She started an intensive course of radiotherapy in a bid to slow down the growth of the highly aggressive and extremely difficult to treat tumour-due to it’s location. Rhianna was also one of the very early patients to take part in a pre-trial at Bristol Children’s Hospital, the only place in the world that offers direct drug delivery called CED in an attempt to shrink the tumour. Throughout all of this Rhianna remained happy and positive. Always had a smile and never complained. Her cheerful character made so many others smile too! Brave Rhianna never gave up hope. She fought so hard and stayed strong throughout her illness. A special little girl who suffered breathing difficulties as a new born, had already fought against the odds once and apart from a hearing loss had made a full recovery. However in her short life she was now fighting for a second time. Pushing herself tirelessly in physiotherapy sessions, but the tumour had quickly resulted in her becoming wheelchair bound. Despite it all she made the most of everyday and in between treatments she enjoyed many parties and treats including west end shows, London shopping trips, caravan and resort breaks. She especially loved the magical time she spent with her family going to see the Christmas lights in Disney Land Paris. We also took Rhianna to Ynysangharad park in Pontypridd which has a disabled access swing. It meant the world to her to be able to join her able bodied friends on some of the equipment. She enjoyed it so much that we looked for other playgrounds with specialist equipment but there were not any in Wales. The nearest inclusive park was in Exeter so we planned a trip. Heartbreakingly Rhianna didn’t get to make the trip. An MRI scan revealed that although treatment had shrunk the tumour, it had spread. On the 23rd of June 2016 Rhianna passed away surrounded by her family, aged just 9 years old. Her wicked sense of humour and cheeky laugh is missed everyday by so many, but will never be forgotten. 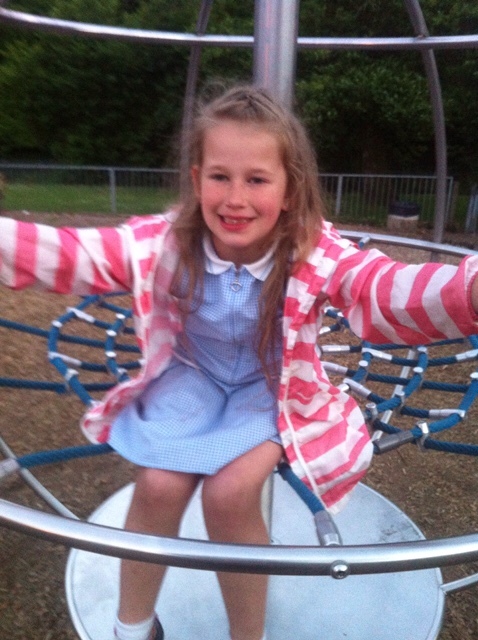 We hope the Rhianna’s Swing park will serve as a lasting memorial to be enjoyed by all Children who use it in memory of a courageous and beautiful little girl.